Patricia is a young model who seems destined for success. On a plane on her way to a job she meets Viviana sitting in the seat next to her. Viviana warns her to be careful because someone close to her wants her dead. Sceptical, and not at all superstitious, Patricia goes back to her happy home determined to forget about the strange warning. However, after a series of unfortunate events affects her work and private life she seeks out Viviana in the hope that she can give her an explanation. This is a subtle, gripping mystery about the price of success and how sometimes it is the people closest to us who can hurt us the most. More than 1 MILLION copies sold of her previous titles around the world. A publishing phenomenon in Italy. 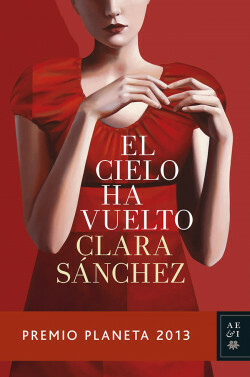 "Clara Sánchez has an enchanting style and liberated tone. Her gaze is ironic, but the cruelty is softened by melancholy and even indulgence". Le Nouvel Observateur. Garzanti (Italy), Marabout (France), Planeta Brasil (Brazil), B4U Publishing (Czech Republic), Znak (Poland), Manuscrito (Portugal), Colibri (Bulgaria), Goten (Macedonia).